Imagine meeting a young woman, just a freshman in college with wide eyes and big dreams, who says she wants to change the world. While that might sound like many 18-year-olds full of hope and promise, one special person named Ann - along with her best friend Jessica and a team of like-minded friends - actually created the change she wished to see in the world. 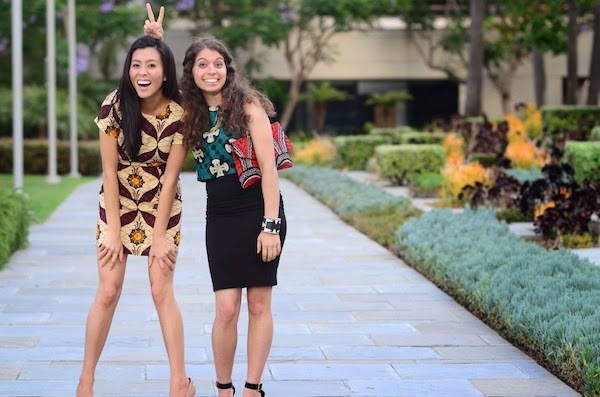 Now, five short years later, these two women have blossomed from intelligent and motivated UCLA students to become the co-founders of Enrou, a start-up company hoping to turn other big and small dreams into reality too. Enrou is "an online one-stop-shop for consumers to buy products from socially conscious brands that focus on community development [...] seek[ing] to create tangible ways to make sure consumer purchases have a positive social, financial, and sustainable impact on developing communities worldwide." For a more detailed description of how the company partners with social enterprises, opens new routes of global exchange, and empowers individuals through economic opportunities, visit About Enrou: How it Works. 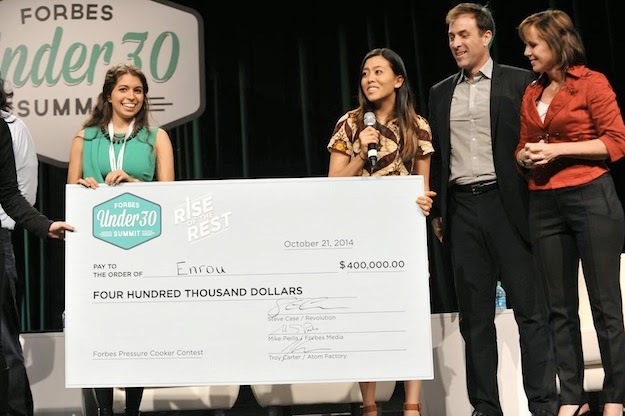 Co-founders Ann and Jessica recently traveled to the Forbes Under 30 Summit where they brought home the grand prize in the Pressure Cooker contest, attracting more money and attention to their start-up and causes represented. 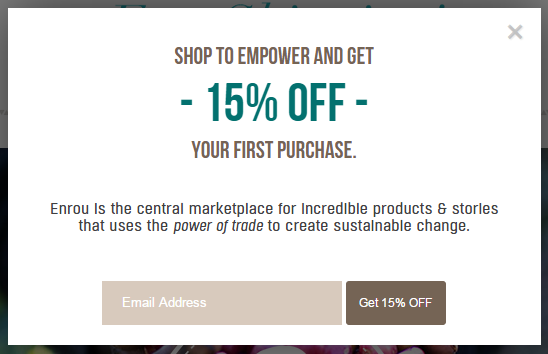 If you want to be part of their new movement to shop to empower, visit enrou.co. 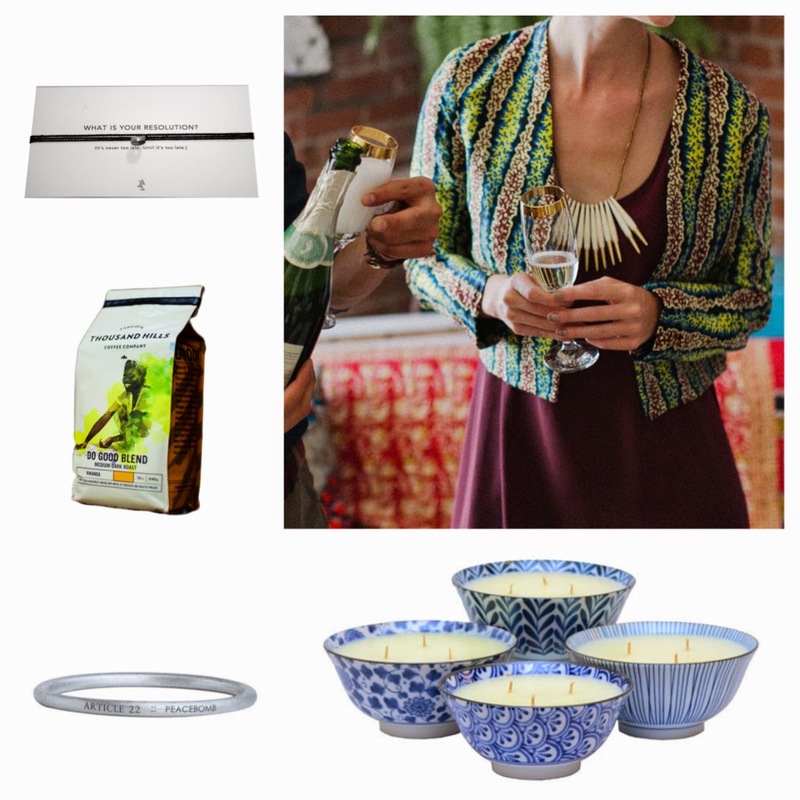 For a limited time, you can get 15% off your first purchase, free shipping, and easy returns!